As attentive publics all over the planet know by now, some very unusual things have been going on in the United States lately. The release of sections of Bob Woodward’s new book Fear, based on hundreds of hours of interviews with Trump Administration officials, followed almost before anyone could take a deep breath by the New York Times’ Anonymous op-ed entitled “The Resistance within the Trump Administration,” describes a systematic derangement of normal American politics that seems to be without precedent. It is hard enough for even well educated Americans to wrap their heads around all this; many of the comments Woodward attributes to a range of senior officials are truly breathtaking in their frankness. 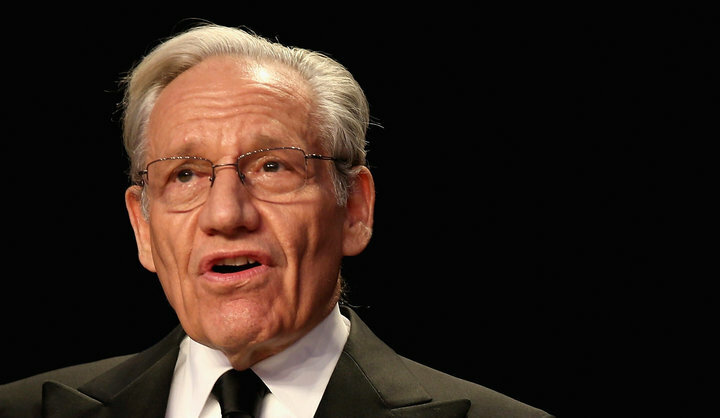 And Woodward, having been there for Watergate and beyond, is credible to the vast majority of Americans in ways that adversary culture gadflies like Seymour Hersh and Michael Moore—the Oliver Stones of American journalism—are not. For those abroad, reactions are bound to vary. Some outside the United States, not to exclude those living in Arab lands, may not see what the big deal is: rife incompetence in high places aided and abetted by conspiratorial mentalities in low places; treachery, insubordination, and even treason within inner circles; plotting and scheming in the military-intelligence sector of the sort that rhymes with the word “coup”—so what’s new? Isn’t this sort of thing the stock and trade of many stories in, say, 1001 Nights? Are these not all lesser-included dynamics within Ibn Khaldun’s famous 14th century “circulation of elites” thesis from the Muqaddimah? Don’t these classics feel not so very dated because of what continues to go on even today? Ah, but America, even amid the West generally, is supposed to be different. We Americans are always telling themselves, and any others who will listen, that we are exceptional. The United States boasts the world’s oldest democratic constitution. The United States epitomizes rule of law, not rule of men, and in that sense it is the most modern of the modern state as Max Weber famously described the differences between charismatic, traditional, and institutional authority. That is why we in the United States do not have what historians of Asia have referred to as the “bad emperor” problem—top heavy, highly personalistic political cultures whose entire orientation can turn on a penny, for better or for worse, when the old ruler dies and a young maverick with aspirations far outrunning his experience takes over. So old and pervasive in history is the bad emperor problem that it even makes several cameo appearances in the Hebrew Bible, the best known being this verse from Exodus: “. . . and there arose in Egypt a pharaoh who knew not Joseph”—and everyone knows what happened next. Even with a presidential as opposed to a parliamentary democracy, the U.S. political order is immune to such shocks. Or so we used to think, and on that basis proceeded to lecture others—Arabs included, especially after 9/11—that they should strive to be more like us. We always misunderstood the reasons for our institutional differences, and wildly underestimated the difficulties of change in what was, to be frank, an unwitting, unacknowledged faith-based (if secularized) orientation to the topic. But now little seems to be left of the American “model” to commend itself to others—and after the 2008-09 financial meltdown, a good deal of which can be traced to the intrusion of highly normal corruption patterns into institutions thought to have been made safe from them, the economic aspect of the model is little less appealing than the political one. We feel it here, too. We now have elected two Presidents in a row, from very different slices of the electorate, that have not avowed American exceptionalism as all their predecessors did. The difference between Obama and Trump in this regard is mainly one of tone: Obama was demur, respectful, and knowledgeable if disenchanted, while Trump is arrogant, dismissive, and ignorant as the summer day is long. But take them together and, as we say in American English, “the shine has come off the apple”—in a big way. We seem to have arrived at a new, non-exceptionalist, normal. One doesn’t have a “resistance within” in the old exceptionalist normal. And yet, the truth is that disconcerting, perilous, and out-of-the-ordinary events of several different sorts have pockmarked U.S. political life from the beginning. First there were structural deformities. The Framers—wide-eyed idealists that many of them were—managed to ignore the whole business of parties, despite Madison’s discussion of “factions” in the Federalist Papers No. 10; the Constitution doesn’t mention them at all. And that is why the original constitutional structure, wherein the second-place finisher in the election for President automatically became Vice-President despite their likely political enmity, had urgently to be changed in the era of the Alien and Sedition Acts (passed in1798). It was accomplished eventually though the 12th Amendment, ratified in 1804. Until the Civil War, too, because of the “three-fifths” clause, slave states had an artificially large share of the Electoral College. Three-fifths of the slave population counted in the census numbers but no slaves voted, giving white Southerners more political clout per capita than Northerners. For the same reason, Southern states had about a third more congressman than Northern states before the Civil War than actual census figures would have dictated, “actual” since in no meaningful way were slaves citizens. Second have been gran-mal political shenanigans. Examine the Tilden-Hayes election of 1876 and you will discover that the winner of the election (Tilden) did not become President. That was thanks to a backroom deal that ended post-Civil War Reconstruction and allowed the institutionalization of segregation in the Old Confederacy in return for Republicans maintaining control of the White House. The deal voided for most practical purposes the Civil War amendments to the Constitution (the 13th, 14th, and 15th Amendments), and amounted to a quiet confession that Reconstruction had failed. As such it was only the first American nation-building fantasy following a military occupation: You can’t rapidly change people’s minds and institutions at the point of the bayonet, unless the people themselves want to change. Third, let’s skip to a far more modern vignette, one much closer to the news of the day about the resistance within. Donald Trump is not the first President whose staff has countermanded his direct orders, or hid papers from him so he could not sign them. At the very beginning of the Reagan Administration in January 1981 several new members of the infant Administration did not have their proper security clearances yet, so two holdovers from the Carter Administration—not political appointees, but Foreign Service officers—were asked by the first National Security Advisor to President Reagan, Richard Allen, to take notes at the Administration’s first two NSC meetings. The main issues for both meetings were the Soviet threat to Poland, Poland’s debt crisis and danger of default, and Central America. The latter was especially important for the President because of campaign statements he had made. Later on, after Reagan was wounded in an assassination attempt and then into the second term when his energies and mental acuity declined somewhat, a series of informal protocols allowed for the bypassing of the President on a fairly regular basis. At the same time, Reagan occasionally deferred major judgments to trusted aids, sometimes surprising and shocking those aides. And this sort of thing was by no means unique to the Reagan Administration. To cite just three examples, Edith Galt Wilson became de facto President after her husband’s stroke on October 2, 1919, at least according to many accounts. A kind of privy council ran the national security dimensions of the U.S. Government when President Eisenhower fell ill during his tenure: He suffered a heart attack in 1955, underwent abdominal surgery in 1956, and had a stroke in 1957. And most notably, his staff held a great deal from Richard Nixon during the waning days of his presidency, when the President seemed often not to be in his right mind. Neither Edith Wilson nor Eisenhower’s advisers had to deal with someone who was, in the common vernacular, “crazy.” They were not therefore faced with managing from the inside what the Israeli scholar Yehezkel Dror famously referred to back in 1971 as a “crazy state.” Nixon was under acute but temporary stress, and his closest aides—including Henry Kissinger and Alexander Haig, Jr.—did have to worry about outcroppings of “exotic” behavior from the beleaguered Nixon. Trump, however, is an altogether different story. Trump was never competent, either by experience or temperament, to be President. He showed clear signs of personality disorder, as a classic textbook narcissist. Anyone who agreed to work for him knew this, but figured either that once in office Trump would delegate responsibilities out of an awareness of his limits, or that, if he didn’t, there but for the grace of God someone had to protect the country from his mania. Some of the latter are true patriots. In June I spoke privately with an U.S. Army General serving in Europe, not yet retired so his name must remain unstated, who related a conversation he had had only shortly before in Washington with Secretary of Defense James Mattis. Secretary Mattis will remain in office so long as the President wishes him to, or at least does not explicitly wish him not to, I was told, not because Mattis craves the limelight but because he cares about the security of the nation. Does that include, en extremis, a willingness to do extraordinary things in extraordinarily odd and dangerous circumstances—like leading or participating in a resistance from within? One cannot rule it out. Could those extraordinary things come to include invoking the 25th Amendment, wherein a President can be relieved of office due to, among other conditions, “incapacitation.” Anonymous tells us in the New York Times that the resistance within eschewed from the start talk of invoking the 25th Amendment. Incapacitation, however, is a word that can mean many things. What if a group of senior officials concludes that President Trump is incapacitated, but the President disagrees? What if they proceed anyway, with the participation of some senior military and intelligence officials? How does that differ from a coup? Of course, many senior Republican figures said publicly during the campaign that Trump was not fit for the office and signed letters refusing to support him. So in a way the “resistance” from within Republican quarters started before the Administration even began. Note, too, that we had inklings of the recently revealed resistance long ago. Recall that Republican Senator Bob Corker claimed back in October 2017 that the White House amounted to an adult daycare center. Others who left the Administration long before this month—Sean Spicer, H.R. McMaster, Rex Tillerson, Gary Cohn, and others—have held similar views, but had the decency not to run them up a flagpole. Still, people do talk, and word spreads. The result is that it is hard to explain the surprise people have claimed to feel in recent days. Of course it is surprising because nothing so blatant and so staged has ever happened before—and no one here believes that the near-simultaneous revelations of the Woodward book and the Anonymous op-ed are an unrelated coincidence. But at the same time it is not surprising at all. What is happening was always inherent in the idea of a Trump presidency. In a strange sense, there is here a psychological parallel with mourning. When someone is gravely ill, say with terminal cancer, we all know they are going to soon die; but the actual death still comes as a surprise, as a shock, even though we ought to have been prepared for it. It’s just human nature. Not surprising? Always inherent in the idea of a Trump presidency? Yes, but also no. What do I mean? Everyone knows that America is deeply polarized politically between “red” and “blue.” And it is, at least to some extent, although how seriously Republican Congressmen were really dedicated to most conservative principles has now been revealed to be a farce. Few, it seems, ever really cared about “fiscal restraint” or “free trade,” for example; they only mouthed it to fit in and get support for achieving office. That so many have changed their minds so fast to follow the President just shows that they never possessed any real convictions in the first place. But the polarization that matters right now is not that between “red” and “blue” but rather between “rooted” and “floating” people. Rooted people have at least a basic sense of what normal politics in Washington actually is like—because they read about it, work in or around large organizations that in many ways resemble modern governmental institutions, and care about such things even if they are not involved in them personally. Floating people don’t read much of anything, are not symbol manipulators in complex organizations, and many inhabit a phantasmic fictional world of never-ending conspiracy theories peddled by mass entertainment media. Rooted people know the difference between reality and fiction, between real news and faked news, and they know that the faked stuff comes from Fox and the White House, with some minor assistance from Russian intelligence bots. Floating people, often enough, can’t tell which is which, so if they are disgruntled they will incline to credit Trump, not reality. So confronted with Woodward and Anonymous, rooted people gasp at the depth of dysfunction and the subterranean machinations that exist to protect against its more dangerous manifestations; but floating people react mainly by invoking “deep state” conspiracy theories that not even a sentient teenager could take seriously. But of course floating people have a very prominent model ready for emulation. After all, we Americans have a President who, when shown unredacted signal intelligence evidence of Russian interference in the November 2016 election, simply replied, without elaboration, that he “had a different view”—clearly suggesting that he thought that senior U.S. intelligence officials had shown him faked documents. A floating person got elected President, thus validating a floating worldview for large numbers of Americans. That is the ur-source of the American polarization that matters most right now. 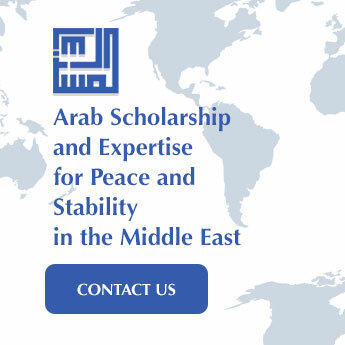 Professional people all over the world, including in the Arab world, know exactly what this is about. There are “real” people one can have a rational conversation with, and there are those with whom such a conversation is for all practical purposes impossible. It is the same in the United States and always has been, except that for about the past 175 years only real people got anywhere near the Oval Office. So consider this sarcastic tongue-in-cheek remark from H.L. Mencken, back on July 25, 1920 in the long-since defunct Baltimore Evening Star: “As democracy is perfected, the office of the President represents, more and more closely, the inner soul of the people. On some great and glorious day, the plain folks of the land will reach their heart’s desire at last, and the White House will be occupied by a downright fool and complete narcissistic moron.” Alas, some predictions come true. Will Donald Trump remain President until the end of his term? Or does the Woodward/Anonymous spectacle hint at a different future? Obviously, one cannot examine the spectacle in isolation from both the Mueller investigation, which since the flipping of Michael Cohen has made demonstrable progress, or from the upcoming midterm elections, which cannot help but be a pronouncement on the Trump presidency. And of course no one knows what will happen, for the future is a winking satyr bent on making fools of us all. That said, it seems to me that neither a kind of soft coup nor an impeachment conviction are in the offing. The resistance within will not move to invoke the 25th Amendment unless it concludes that its efforts to constrain Trump are failing massively, and that an effort like that could both succeed and be worth the damaging precedent it could set. Impeachment would require significant Democratic majorities in both the House and Senate, for it is after all a political phenomenon, not a legal one. That may happen thanks to the midterms, but it probably won’t. The result will be the even deeper and virtually permanent paralysis of American government for at least the next two years. The focus on what, for lack of a better term, has to be called domestic issues will deepen. The American role in the world will be at times distracted, at times manic, and at times in oscillation between the two. Adversaries and allies abroad alike will have ever less they can depend on from Washington. That can stimulate risk aversion abroad, but it can also be a goad to dangerously opportunistic behavior. There are times that portend disaster. Experienced people can feel them, even if they cannot always explain them, even to themselves. This feels like one of those times. The oath of office in the United States that all officials must take—Donald Trump and the anonymous members of the “resistance within” alike—ends with these words, “so help me God.” Only some people take these words as seriously today as was the case when the oath was composed more than two centuries ago. That is, perhaps, a seminal pity. Y. Dror, Crazy States: A Counterconventional Strategic Problem (Lexington Books, 1971).